Yesterday we were making soup and my companion really wanted eggs but we didnt have any so we thought we should ask the neighbors...but we didnt know if we should because what if that wasn`t a thing in Mexico? So she sent me over and I was like ¨Hi...my friend and I are making food and we realized we don`t have any eggs...could we borrow two? and they awkwardly gave me a carton with two eggs in it through the window haha! They didn`t even open the door! I also bought a mini Mexican sombrero today, I love Mexico, haha! The house situation is interesting because there is a bunch of water damage under the floors and in the bathroom but I guess it`s whatever lol the owner of the house knows about it, it just smells like a lake whenever we`re at home. I hope everyone is doing awesome back at home and that everyone`s pumped about going back to school! We also went to a graveyard to look for a family that was in our area file ....they live behind the graveyard but it was really interesting asking the people that worked there for this family...I´m pretty sure they thought we were crazy...but we eventually found this house in the back of the woods...but they werent home! We´ll have to go check it out again sometime, apparently the kids are awesome and they went to church once! We´ve actually contacted a bunch of people that really needed us this week...there have been a lot of deaths of family members and a lot of unfaithful people in the marriages in our area and we´ve been able to help and comfort a lot of these people and I´m so grateful I have the opportunity to be here and to help, even if it´s just a little that I can contribute. This week was really hard because we still don´t know our area and we live outside or our area....everyday we have to take two buses to get to and from the area that we teach in...it´s a little frustrating, but I don´t let it bother me too much, it´s just the way things are right now. Congrats on your marriage Brittany and Matt! You guys look great and I wish you the best! We´ve got to do a hefty cleaning on the house because the other people left it pretty bad...but it´s okay,everyday is another day in the mission, which is offically the biggest adventure of my life. Yesterday I stepped in a huge pile of doggie poops...my new companion is from Vegas, she seems pretty cool, and I offically weighted myself and I´ve lost a decent amount of weight! I love serving a mission, it´s actually pretty stressful, but it has it´s spiritual moments too..today our district leader taught us what it was to have perfect faith and that faith requires action. 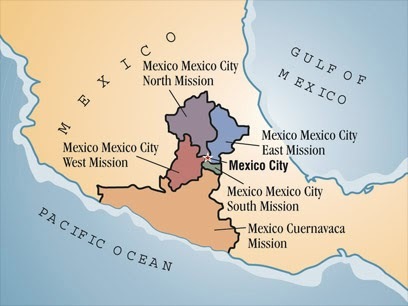 We made plans to make our area even better and we are going to work really hard this next week to see if we can find our way around (we´re both new to the area and it´s pretty big...but we made it to church on Sunday so that´s a start!) I finished reading the book of mormon too! The 65 day challenge ended today and I´m actually surprised I finished on time, haha! Miracles are real!